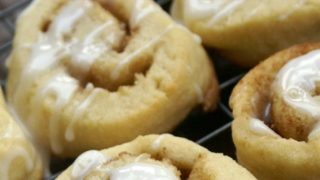 Homemade cinnamon rolls in an easy to make cookie! Your entire house will smell like a bakery with these cookies in the oven. And bonus! 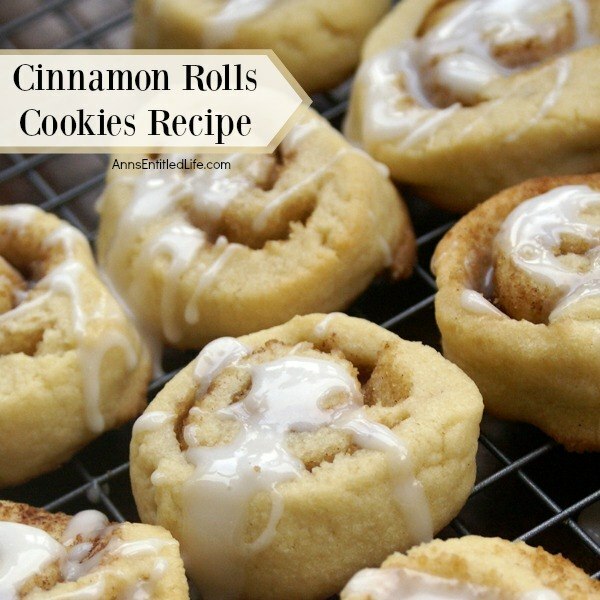 Since they are cinnamon rolls, cookies for breakfast!! These delicious cookies taste great and are perfect for lunchboxes, cookie trays or dessert. 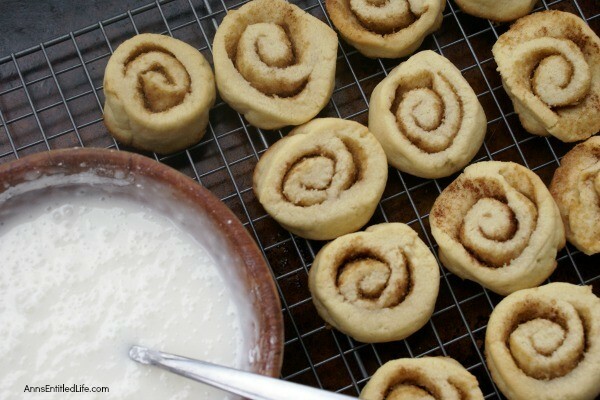 If you love cinnamon rolls you will love these terrific cinnamon roll cookies. 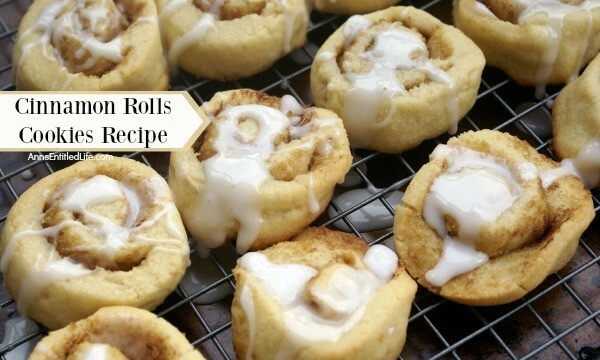 Try them right after icing when they are still a bit warm… mmmm, mmmm good! • I cup of butter in the US = 2 sticks. • You may need more than one tablespoon of milk to get your icing to the consistency you would like. • When icing the cookies you would like them slightly warm, not cold, and definitely not hot. 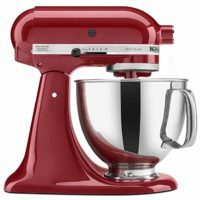 • Using a stand or hand-held mixer, in a medium sized bowl, cream together 1 cup of butter and 1 cup of sugar (mix for approximately 5 minutes). 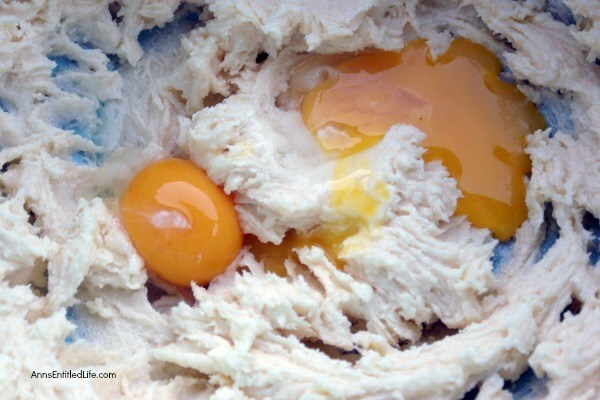 • Add 2 egg yolks, ½ teaspoon of vanilla extract, and ½ teaspoon of salt. Mix on low for about 2 minutes until all ingredients are mixed thoroughly. • Add in 2 cups of flour gradually until mixed together well. 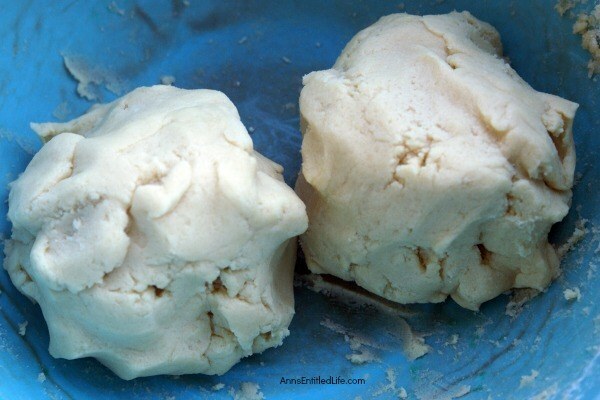 • Divide cookie dough into two balls. 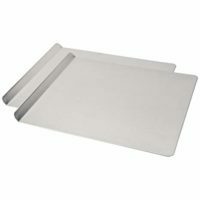 • Flatten one dough ball out onto a very lightly floured surface and create a rectangular shape. • Combine brown sugar and cinnamon in a small bowl; mix. • Sprinkle half of the brown sugar cinnamon mixture evenly over top of the rectangular dough, making certain to reach the edges and corners. 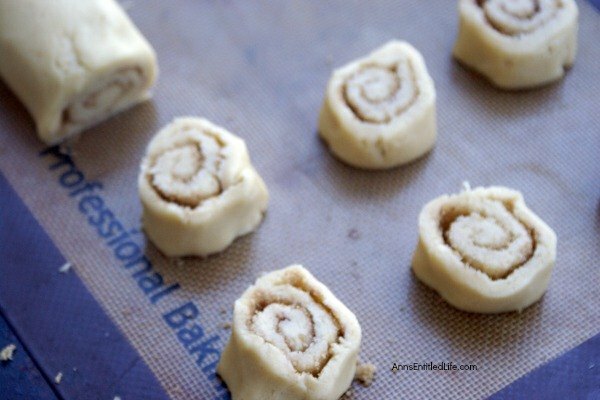 • Begin to roll your dough lengthwise to form a roll. Do so gently as to not break or tear the dough. • Repeat for second dough ball. 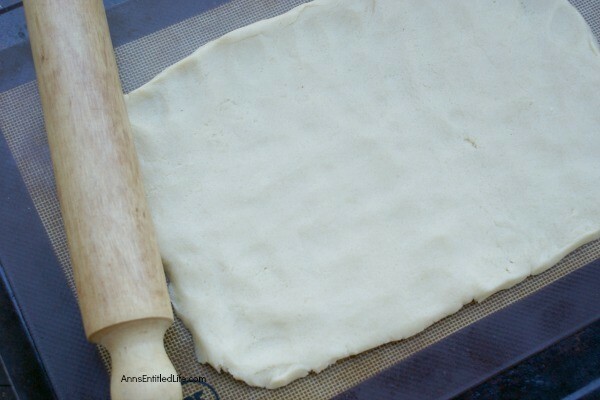 • With a sharp knife, cut the cookie roll into about ½” segments to make a single cookie (approximately 15 per roll). • Bake for approximately 12 minutes, or until lightly golden brown. 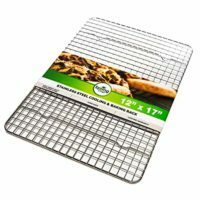 Allow to cool until just warm on a wire rack. • Mix together 1 cup of powdered sugar and 1 tablespoon of milk until a smooth consistency forms. • Drizzle icing over semi-warm temperature cookies. • Leave on a wire rack until icing hardens. 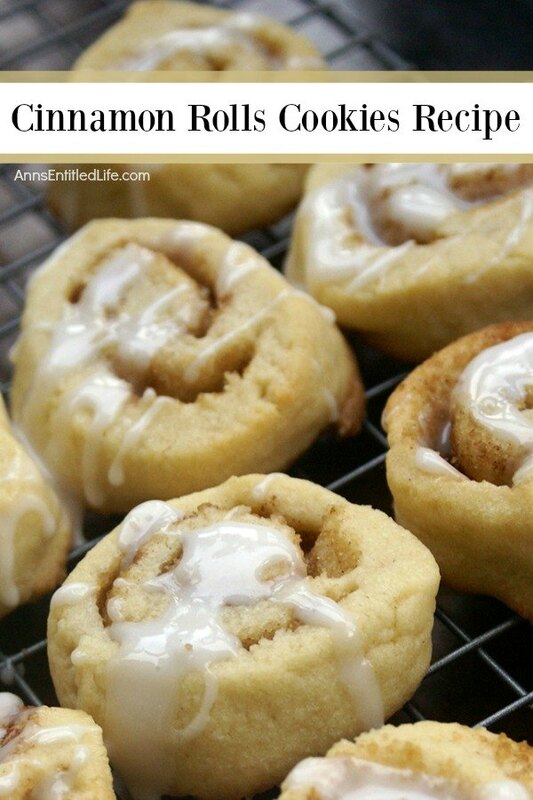 If you love cinnamon rolls you will love these terrific cinnamon roll cookies. 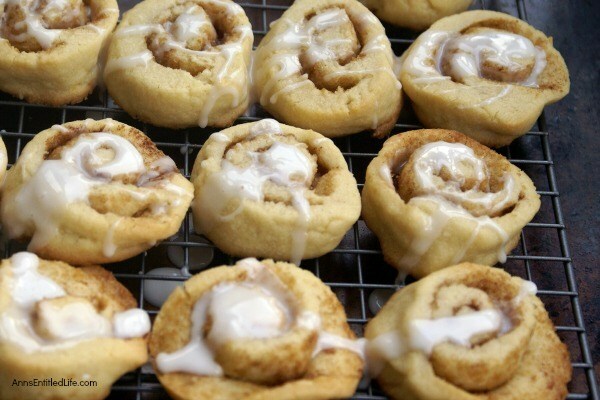 Try them right after icing when they are still a bit warm... mmmm, mmmm good! 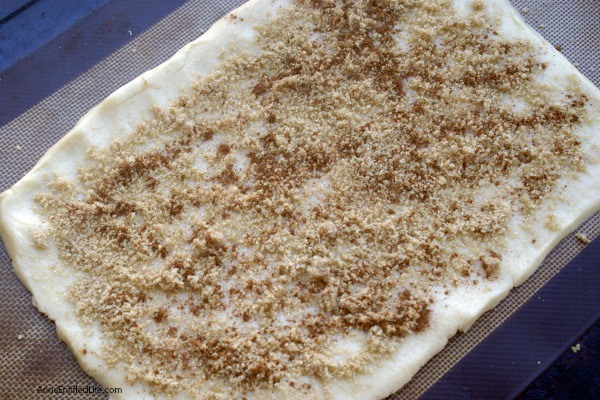 • Sprinkle half of the the brown sugar cinnamon mixture evenly over top of the rectangular dough, making certain to reach the edges and corners. • With a sharp knife, cut the cookie roll into about ½" segments to make a single cookie (approximately 15 per roll). • Leave on wire rack until icing hardens. 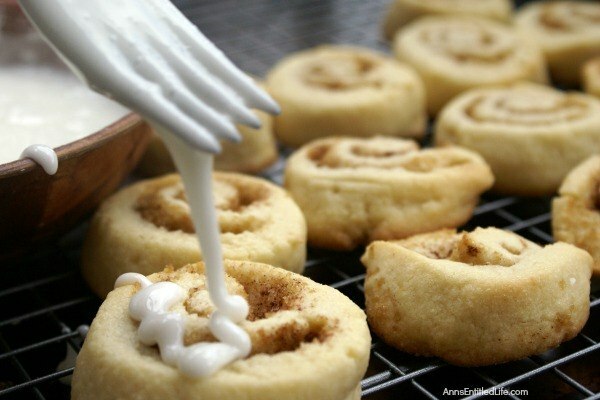 • Almond “Doughnut” Cookies Recipe – These are fun, easy to make cookies that are just different enough to be interesting, without being odd. They are great for little hands that may have trouble grasping a larger cookie or dessert. • Bear Claw Cookies Recipe – Great tasting bear claw pastry in a cookie form! These easy to make bear claw cookies are fabulously sweet and buttery.